Punkte Benötigt: 11750 Por favor, añade este título a tu Lista de deseos e Inicia sesión con tu cuenta My FedEx Rewards desde un dispositivo compatible. NOTICE: Activation key must be used on a valid Steam account, requires internet connection. About the game	Join the Chase! In LEGO® CITY Undercover, play as Chase McCain, a police officer who's been tasked with going undercover to hunt down the notorious – and recently escaped – criminal Rex Fury and putting an end to his city-wide crime wave. 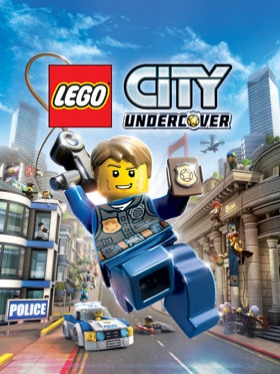 With two-player co-op, friends can explore … the sprawling open-world metropolis that is LEGO® City, with more than 20 unique districts to investigate, car thieves to bust, hilarious movie references to discover, vehicles to drive, and hundreds of collectibles. LEGO CITY Undercover brings together witty, original storytelling with signature LEGO humour to create a fun-filled experience for players of all ages to enjoy. System Requirements Windows - Minimum	OS: Windows 7/8/8.1/10 x64 Processor: Intel Core i5-760 (4 * 2800) or equivalent, AMD Athlon X4 740 (2 * 3200) or equivalent Memory: 4 GB RAM Graphics: GeForce 560 Ti (1024 MB), Radeon HD 5850 (1024 MB) DirectX: Version 11 Network: Broadband Internet connection Storage: 18 GB available space Windows - Recommended OS: Windows 7/8/8.1/10 x64 Processor: Intel Core i7-950 (4 * 3000) or equivalent, AMD FX-6100 (6 * 3300) or equivalent Memory: 4 GB RAM Graphics: GeForce GTX 660 (2048 MB), Radeon HD 7850 (2048 MB) DirectX: Version 11 Network: Broadband Internet connection Storage: 18 GB available space	LEGO CITY UNDERCOVER software © 2017 TT Games Ltd. Produced by TT Games under licence from the LEGO Group. LEGO, the LEGO logo, the Brick and the Knob configurations and the Minifigure are trademarks of the LEGO Group. © 2017 The LEGO group. All other trademarks and copyrights are the property of their respective owners. All rights reserved.WB GAMES LOGO, WB SHIELD: ™ & © Warner Bros. Entertainment Inc.